Yet, another item I picked up at the Disneyland Resort. 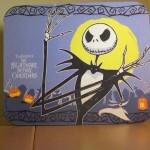 Disney has finally made a “Nightmare Before Christmas” mouse pad. 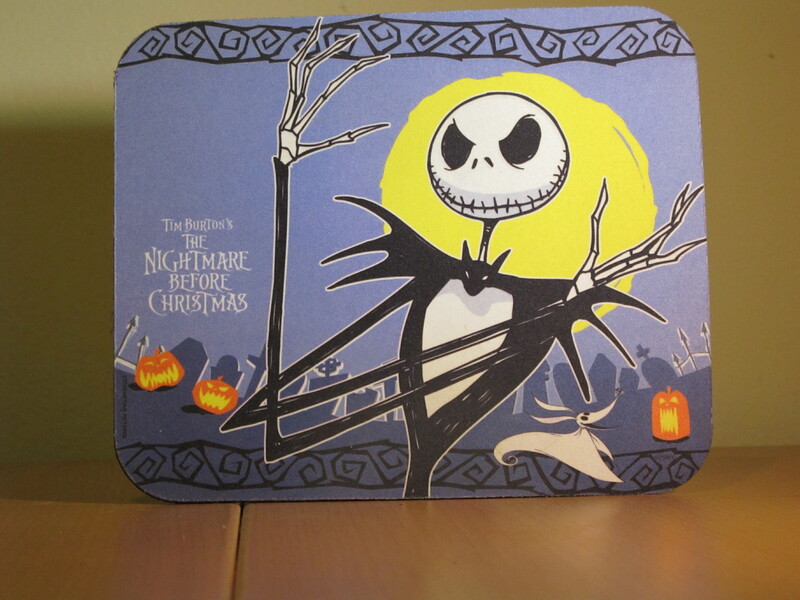 I already have Jack Skellington as my desktop wallpaper on my laptop so this mouse pad is a perfect addition to my computer setup. I bought two mouse pads: one for home and one for my cubicle at work. It’s a typical size mouse pad: 9 1/2″ wide by 8 3/4″ high by 1/4″ thick. As you can see from the picture, it shows Jack in a graveyard with his arms crossed. Zero is floating in the background (although it seems that he was just randomly placed in there). I think they could have chosen a better color than the light purple color that they used, but this was the only style that they offered. Ever since my first trip through the Haunted Mansion, when it was all decked out for the Halloween season, I have been in love with Jack. So this would definetly be a great addition to the desk top.